Chef Tristan Welch is known for his fun and flamboyancy, famed for putting twists on traditional favourites and this Valentine’s Day is no exception. 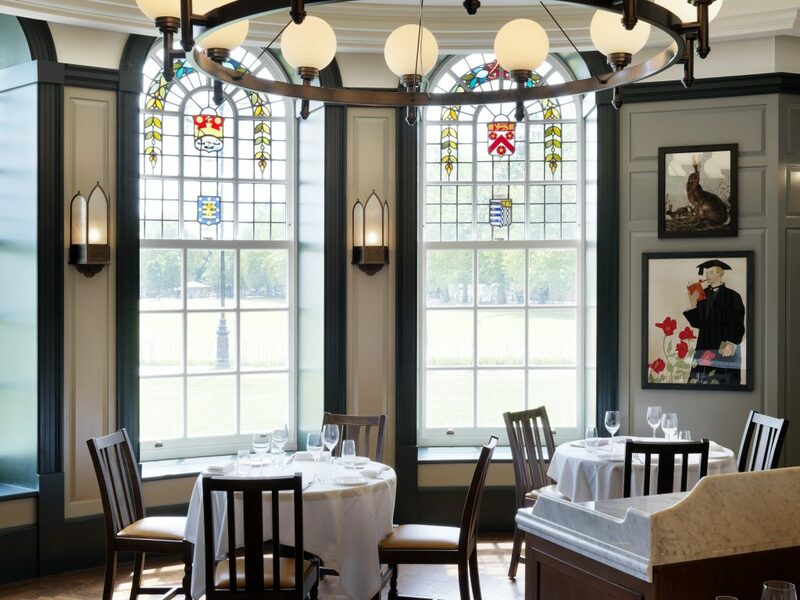 Available at Parker’s Tavern (which opened in August 2018), Welch has created an exclusive menu, showcasing his favourite aphrodisiacs, promising to impress Cambridge locals and hotel guests alike. Those visiting from out of town can truly spoil their loved one with the special Valentine’s Day package available at the hottest hotel in the city, University Arms. This includes an overnight stay with space available upgrade, three-course meal at Parker’s Tavern, bottle of bubbly, breakfast in bed and late check-out, with rates starting from £290. Guests dining at Parker’s Tavern on 14th February can kick off their experience in the Martin Brudnizki designed bar, with specially crafted cocktail L’Amour Parfait made with Crème de Violet, plum bitters and prosecco, before sitting down for their romantic feast. Couples will choose from a selection of sensual starters, mains and desserts. Tristan’s favourite aphrodisiac-inspired dishes include: Oysters, Celeriac and Black Truffle Carbonara, Baked Goats’ Cheese with Roasted Figs & Walnuts and an indulgent Dark Chocolate Fondant to share at the end. As a parting gift, each couple will receive a bespoke bottle of edible chocolate body butter, made by the Parker’s Tavern team, complete with a paint brush. HOW: The Valentine’s Day menu at Parker’s Tavern is available on 14th February 2019 and costs £42 per person including three courses, a L’Amour Parfait cocktail and chocolate body butter to take home. The Valentine’s Day room package at University Arms hotel starts from £290 and is available on 14th February 2019. Inclusive of an overnight stay with space available upgrade, the three-course Valentine’s Day menu at Parker’s Tavern, bottle of English sparkling wine in the room, breakfast in bed and late check-out. with special rates starting from £290.